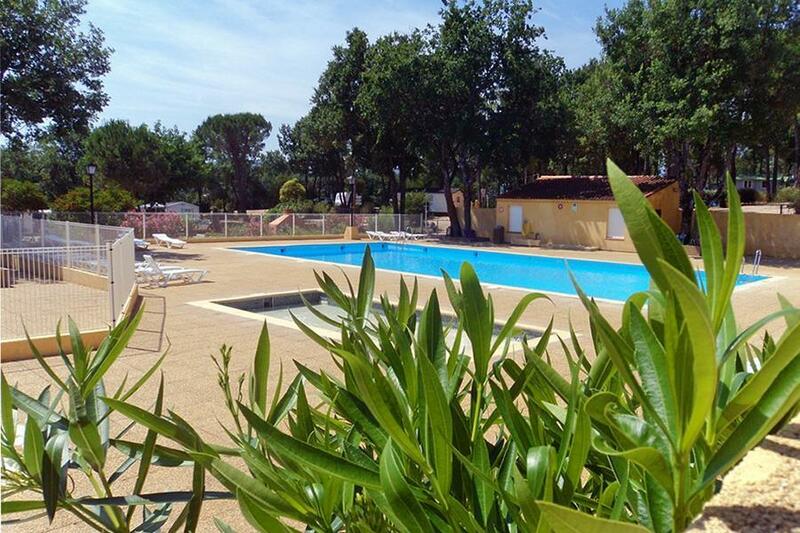 Flower Camping Le Provençal is a campsite with 58 touring pitches and 19 year round pitches. During low season, between 01-04-2019 - 28-06-2019 and 29-08-2019 - 30-09-2019, the nightly rate is €18,- at one of the 58 touring pitches at Flower Camping Le Provençal in Saint-Maximin-la-Sainte-Baume (Var). At this campsite you can not only use your CampingCard ACSI for inexpensive camping, you can also use your ACSI Club ID (as an alternative ID). Campsite 2 km from the centre, located amongst the vineyards. Montagne Sainte-Victoire and the St. Baume massif nearby. Landscaped in terraces, in a quiet location, and with plenty of greenery. Op doorreis naar Italië hebben we hier een nacht gestaan met onze camper. Terrascamping met vooral veel huisjes. Redelijk ruim opgezet. Eind mei waren allerlei voorzieningen nog dicht: zwembad, restaurant, afwasfaciliteiten en een gedeelte van het sanitair. Als doorgangscamping geschikt, voor een langer verblijf lijkt de camping ons minder geschikt in voor- en naseizoen. Misschien meer ambiance in de vakantieperiode. Vriendelijke dame aan de receptie. Would you like to book Flower Camping Le Provençal or request more information? You can do both using the information below. Autoroute A8 exit 34 St. Maximin. Then follow the D560 direction Aubagne. After few km follow the signs. CampingCard ACSI will send your information request to "Flower Camping Le Provençal".